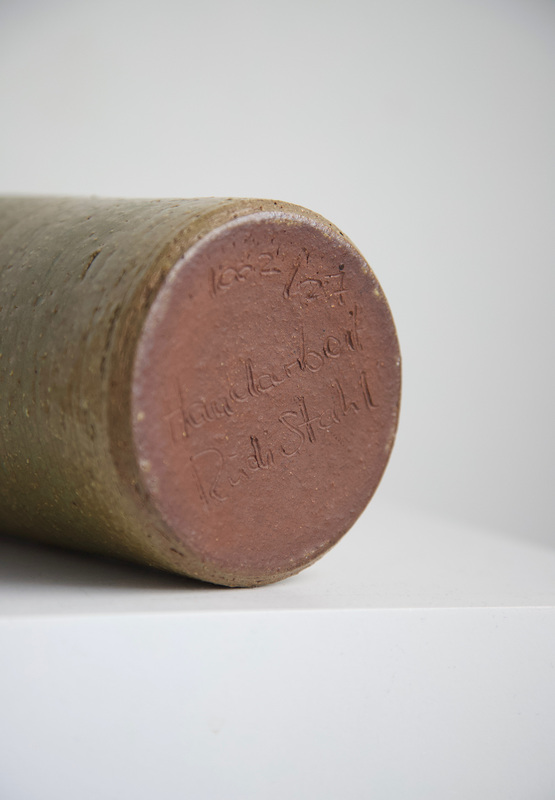 German ceramist Rudi Stahl started his workshop in 1938 and made all his pieces by hand. 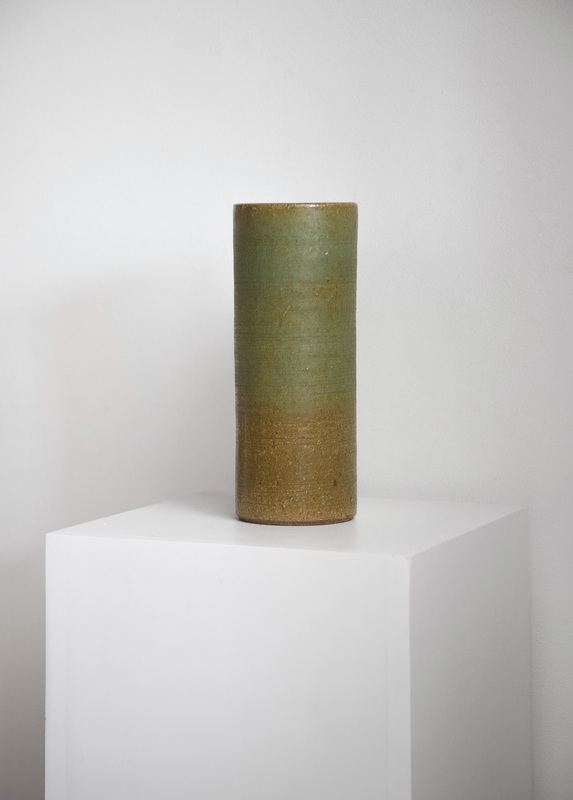 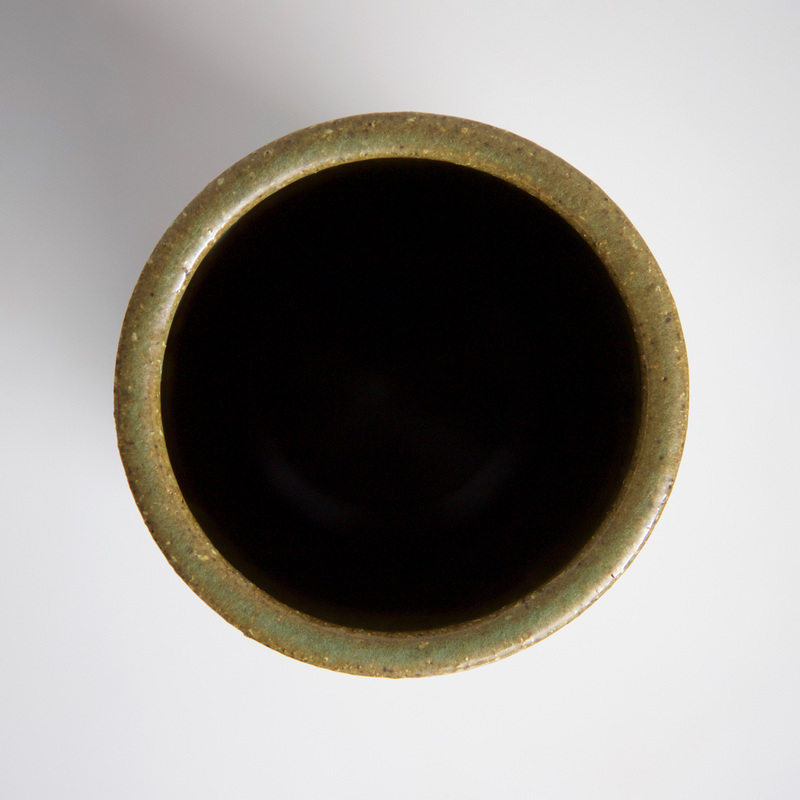 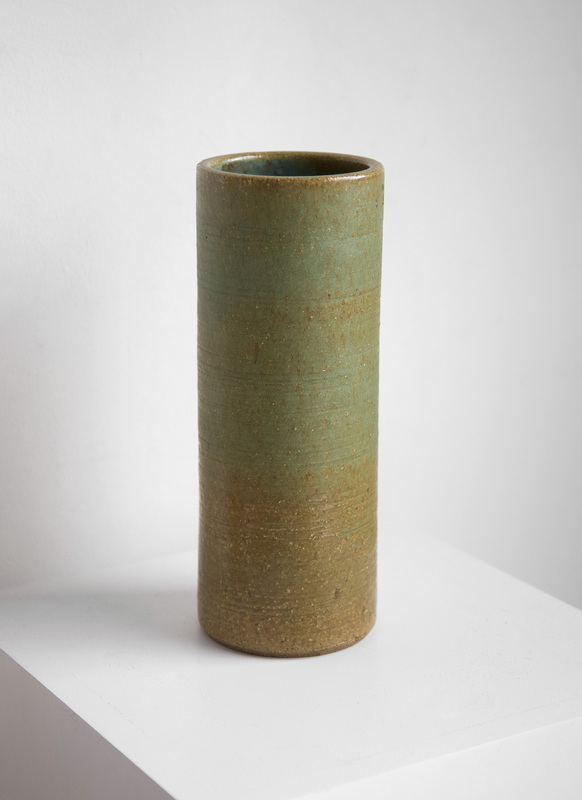 With Japanese influences and working with the natural tones of local clay and stoneware, his work belongs to the more experimental pieces from that period. 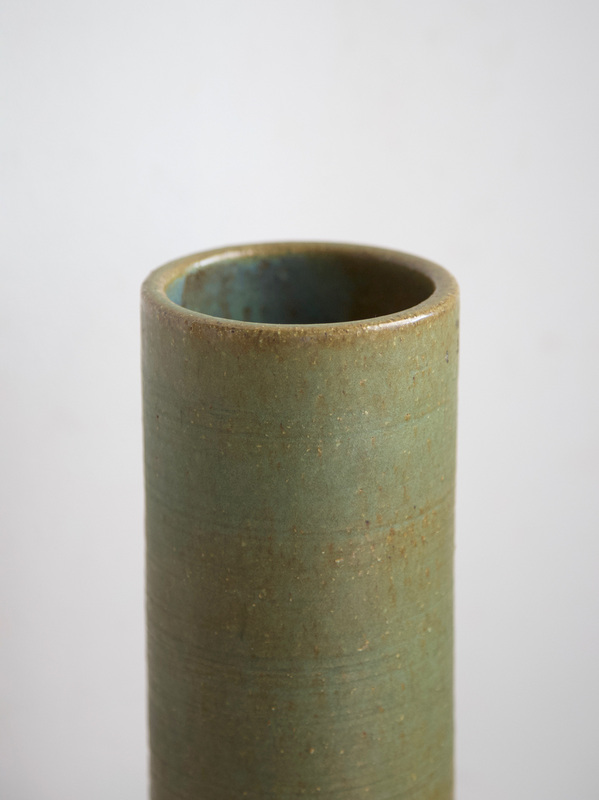 This vase shows nice details of craftsmanship, its glazed in differed tones of green and signed on the back. 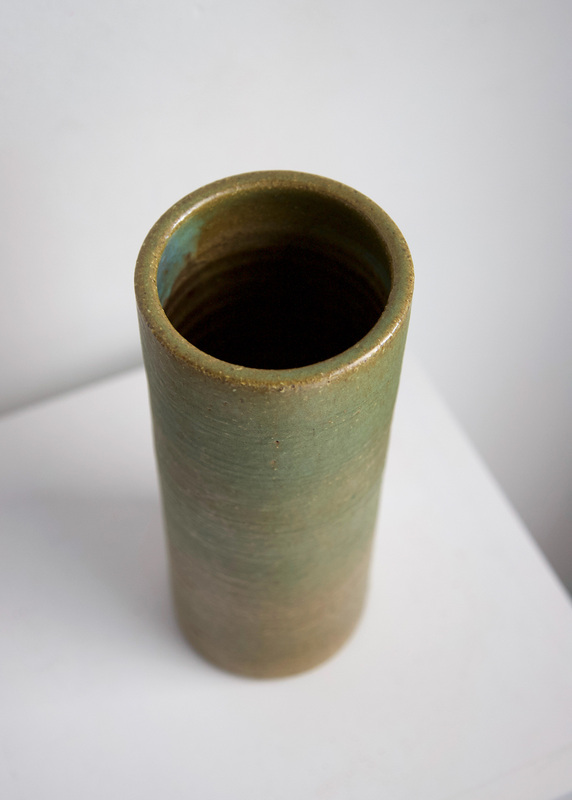 This vase dates from the 60s.